Golden Rules of Home Decor ! Don’t shy away form mixing prints for your home décor. However, don’t mix too many colors. So if you choose to team up two prints, they should each be in a primary color. Also, try picking up the hues and echoing in solid color through other décor elements such as flowers or an artwork, or even the flooring. Trendy print makes a statement! 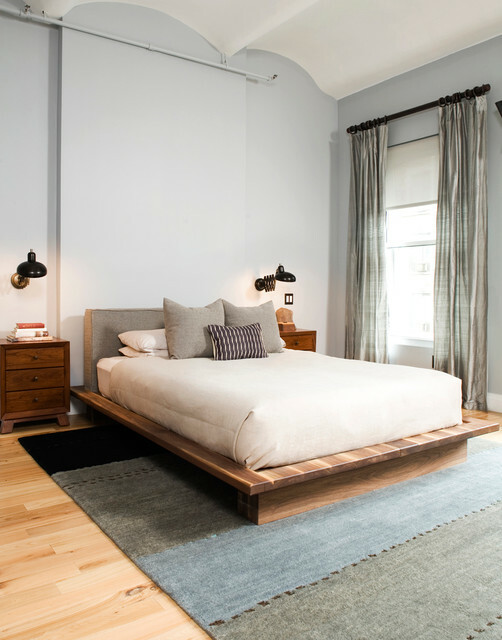 Create a utility table next to the bed in the guest room. Especially in a small space, it helps create shelves in bedside tables. You can neatly roll up and stock an extra blanket for your guests’ convenience, extra books and so on which the guest can spot easily. This one is for the household with children but not enough space for individual use. Create service corners such as these with hooks and baskets foe each child to use to stock his or her things. 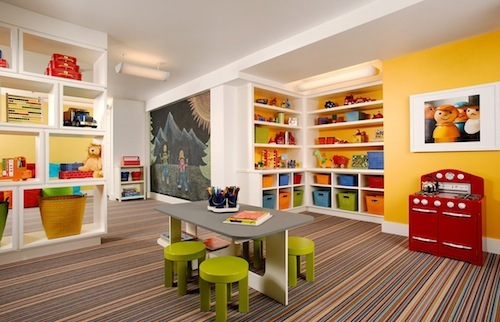 You can also label the spaces with the children’s names to keep things organized.